Disclosure: This product was rented on my own and is not sponsored by Bloomlife in any way. I kept seeing this ad on Facebook about a pregnancy tracker and contraction monitor when I was around 31 weeks pregnant (smart advertising of course)….and it really made me curious. 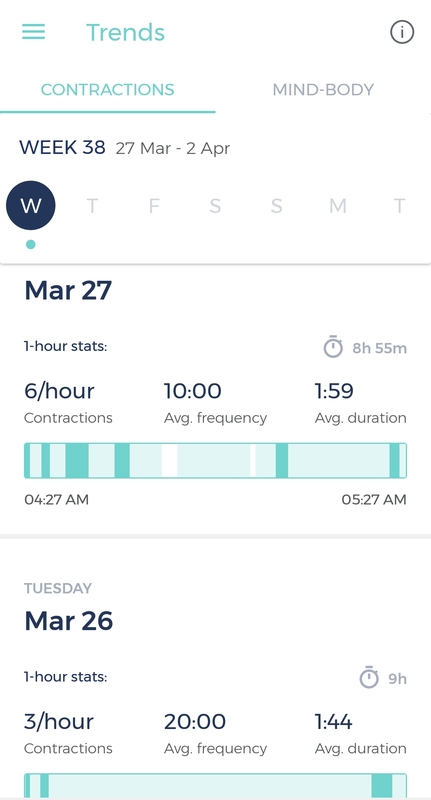 Being a first-time mom I have been wanting anything to make things easier when it comes to knowledge, whether it comes to helping count contractions or just tracking daily baby activity, I am all for it right now. So after looking into this some more, I did end up getting Bloomlife and have been using it since it arrived. So when you are ready to use the product all you need to is charge the tracker (with the included cord), attach it into one of the patches when it is done charging, place it 3 fingers below your belly button, makes sure your Bluetooth on your phone is on and connected, press start, and from there it tracks movement it feels. You do receive 5 patches to start with but you can order more for free at any time through the app, which includes free shipping. I have only ordered one extra set so far and they arrived in a few days (quicker than I had expected). While wearing Bloomlife it does suggest sitting still, the best time for me was wearing it overnight. One thing I can say is that when you move around a lot, like getting up to walk around, it does like to disconnect occasionally. Make sure once you sit back down that the app is still connected to the device and tracking. A few times I woke up and it stopped tracking during the night because I got up to pee. Most times it does do a good job at re-connecting though on its own. 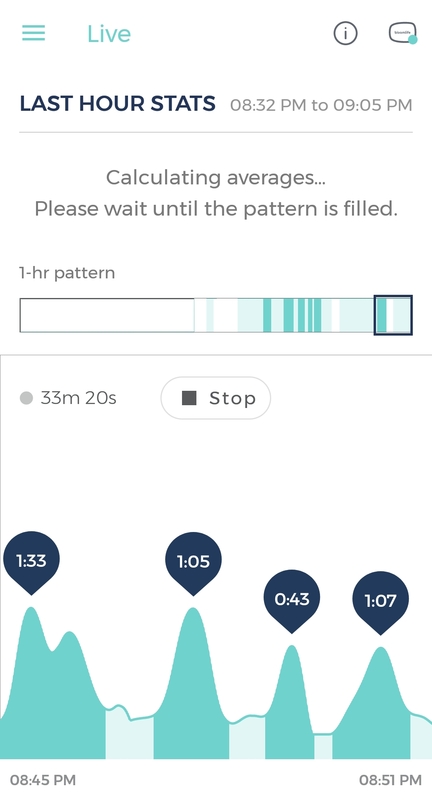 So when it comes to reading the app I can say at first I was a little confused on reading the screen and the “waves” I was getting while wearing Bloomlife that were counting as contractions. One thing that helped me a ton, look over the website, it gives a LOT of helpful info to help Bloomlife make a lot more sense. In the Bloomlife app, the graph that shows in the live view displays all your uterine activity. Baseline muscle chatter appears as those little bumps and dips. When the uterine muscle contracts beyond a set threshold, the contraction timer bubble appears, showing the duration from start to finish of that contraction. As you may notice, because Bloomlife interprets the electrical signals of the uterine muscle, it even picks up those little contractions that you might not feel. I have learned that irregular contractions showing are Braxton Hicks and when my “waves” become more regular, that is when I should be more concerned. Which I should be seeing that VERY soon on my end. Only 2 more weeks to go!!! So my overall opinion of Bloomlife? I can say that I am glad I got this product to try out. Since I am not really sure what to experience being a first-time mom, it has been neat to see what is going on inside my body and how active it can be. I am hoping it will also help me to know when I am actually in labor and also me not having to think about counting during that period will be quite nice. The one downside as mentioned is the connection when moving around, but overall it is still worth it to me since it is not constant.